Preachers, group leaders, teachers, and all who are serious about understanding and spreading the Christian message will benefit from the material in this book. Christian theologians, in their concern for eternal truths, have sometimes been slow to recognize the importance of how communication occurs. Yet in a religion with revelation as its very core, it is crucial to be aware of new communication technology, understand how the message is shared, and identify barriers to communication. The principles discussed are distilled from a series of conferences that brought pastors and theologians together to discuss the core of their faith and how, in a globalized world, faith can be discussed intelligently. The helpful, field-tested chapters include useful diagrams and lists as well as ample questions for group reflection. 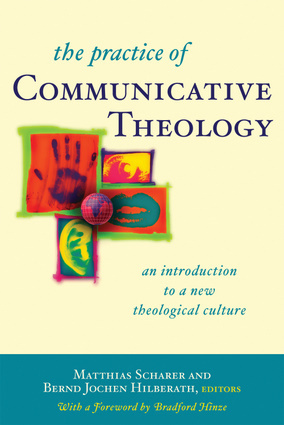 Matthias Scharer is a professor of practical theology in the fields of catechetics and religious education at the University of Innsbruck, where he leads a research team working on communicative theology. He has lectured widely in Western and Eastern Europe, Latin America, Africa, and Asia on this process and has conducted seminars employing this method. Bernd Jochen Hilberath is professor of dogmatic theology and the history of dogma at the University of Tübingen and is director of the Institute for Ecumenical Research. He has been actively involved in ecumenical and inter-religious dialogues. Bradford Hinze is professor of theology at Fordham University. He lives in New York City.